Arsom Silp Institute of the Arts is the product of a 10-year experience achieved from managing Roong-Aroon School. It is aimed at offering an alternative educational venue to Thai people. 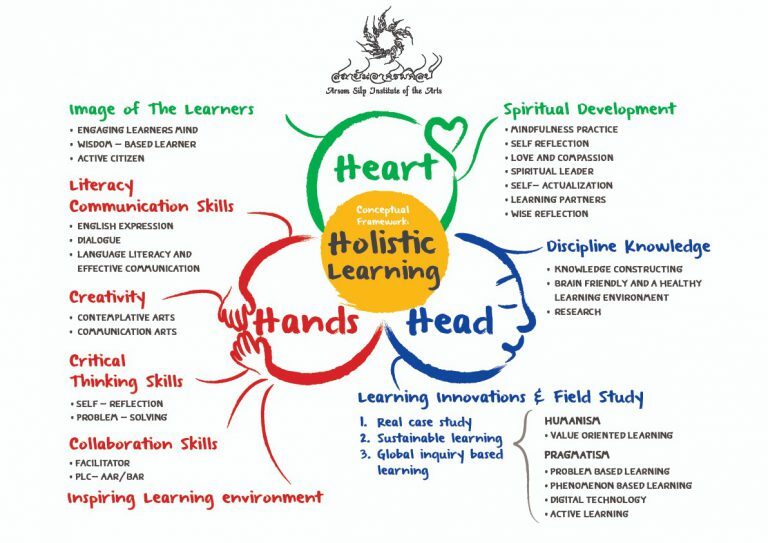 After arriving at the realization that the Thai way of subject-based teaching and learning methods alienate learners from their environment and society, the founders of Arsom Silp Institute of the Arts decided to equally combine the arts, an academic pedagogical approach to the Thai wisdom approach to foster the highest potential learning experience. With clear objectives to combine academic subjects and life experiences, the instructors, who are experts in their fields, closely monitor and assist students in a relaxed and friendly atmosphere. Arsom Silp Institute of the Arts referred to as “Arsom Silp” (Asram of Arts) was established as a not-for-profit organization. The Institute, operated under the patronage of Roong-Aroon School Foundation, San-Sang-Aroon Foundation, and Yamaluddin Foundation. The three foundations provide parts of its startup fund, and enables the Institute to acquire and maintain its personnel, and a plot of land. In October, 2006, the founders were awarded a permit from the Higher Education Commission to establish a private tertiary educational institute. In-Depth Learning: students are encouraged to learn on their own (Self-Directed Learning) so they understand and value the environment. Learning by doing: or Work-Based Learning, students learn from working on their research projects and through the academic services provided by the institute. Communication based learning: includes deep-listening (listening for nuances), open dialogue and human respect. The above processes will transform the students’ learning skills and attitude to achieve quality personal and social development. Arsom Silp Institute is a learning community with the objective to forge personal skills through physical, mental and intellectual trainings to improve human and social development. Virtues: The roadmap that helps one understand oneself by monitoring one’s state of mind in the environment and society until wisdom emerges. Aesthetics: Aesthetics can be acquired by creating art works that reflect human’s learning potential and the creators’ scope of imagination. Cultures: How relationship in the learning community is formed based on intellect, values and beliefs handed down from generation to generation and ultimately become the local wisdom.